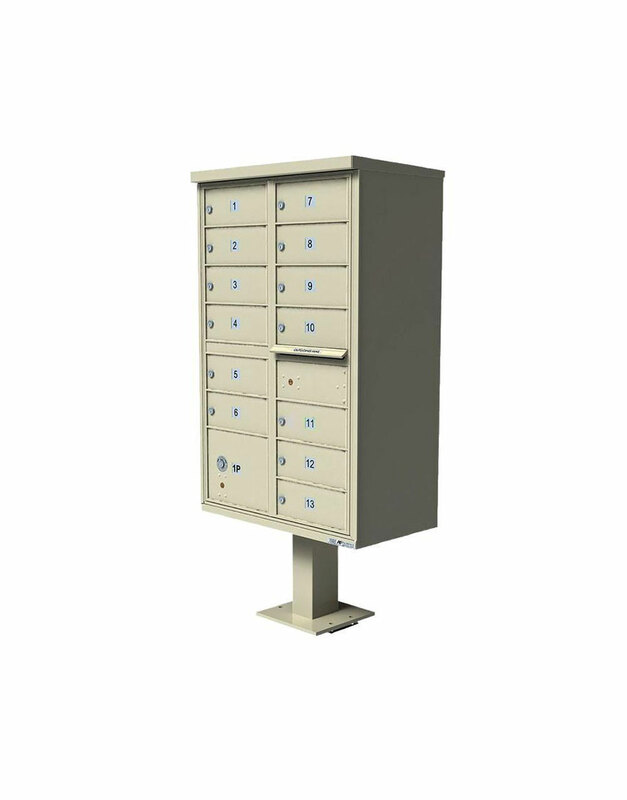 Get the best in centralized mail delivery with this USPS Approved Cluster Box Unit (CBU). 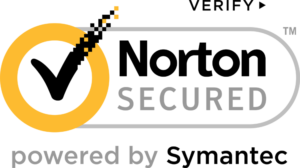 This CBU is theft, vandal and impact resistant. 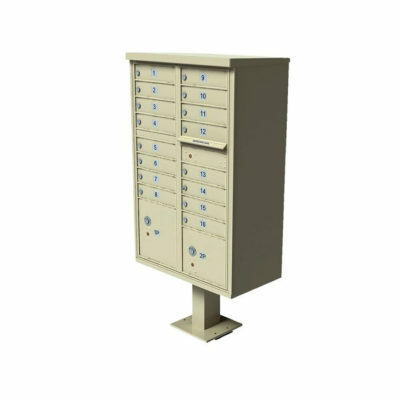 Heavy gauge, welded construction protects mail from the elements and ensures years of worry-free delivery. 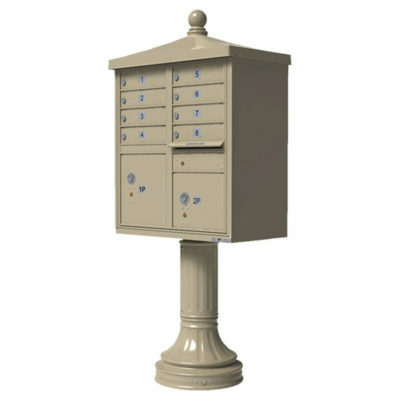 Large mail compartments accept most sizes of mail and periodicals without damage and the parcel compartments accommodate packages for resident pickup. 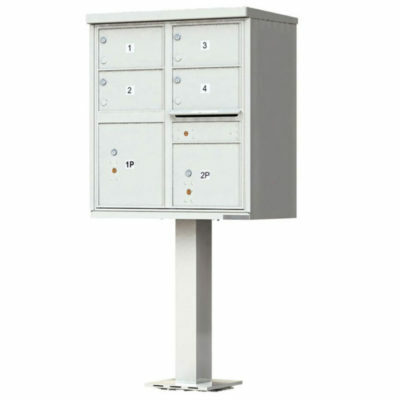 Installation is hassle-free with an included heavy-duty pedestal. Made in the U.S.A.